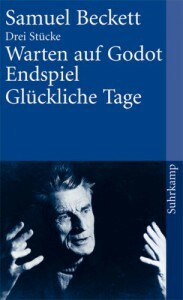 I was curious about Beckett and I was especially curious about his play Waiting for Godot. This is because whenever I have heard about it, people were either really enthusiastic or really bitchy about it. So I just did, what everyone should do in this situation – I made up my own mind. Although there is not much action going on, a lot is actually happening in this play. It is amazingly sad, funny, beautiful, depressing, cruel and touching at the same time. The relationship between Estragon and Wladimir is just incredible. And Godot? I have no idea, who or what Godot is and neither had Beckett. But is this really important? For all it’s worth, I do not think that it matters at all. I also like this play. Again, it is sad and beautiful at the same time. If I had to establish a central theme, it would be the power of human relationships. Beckett shows, that no matter how sick you are of someone else and how much you may despise one another, sometimes you are so dependent on each other, that – for good or worse – you simply cannot leave. I do not like (to read) this play. There are two types of plays - plays written to be read and plays written to be staged. Happy Days is definitely the latter. 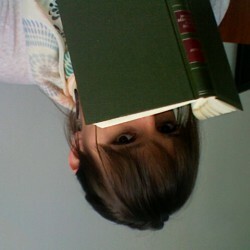 Although it is quite short, it is extremely exhausting to read due to the fact that it is basically an ongoing monologue, constantly interrupted by stage directions (which you can skip, but then it is even weirder or which you cannot skip, but then they are just annoying and interrupting the non-existent flow of the text). I salute to every actress to take on this roll, I imagine, this is incredibly hard to play, but, honestly, reading it is a sheer nightmare.